Yes, top 23: this was a very good year of classical releases for me, and it turns out that the number of albums I want to mention doesn’t correspond exactly with the number of fingers and toes I possess. To buck convention even further, I’m not going to rank the albums, aside from my favourite of the year. The usual provisos apply; the list is some distance away from being representative of the year’s classical releases as a whole. A mysterious, sombre and beautiful ballet from 2010, based on the classic book. 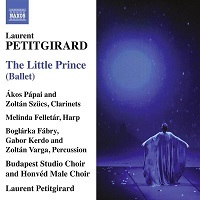 Petitgirard makes use of a choir and a handful of instrumentalists; if I describe the music as like a softer, French-accented Philip Glass, this doesn’t do it justice but at least might give you some idea of the sound-world. OK, if I were assigning numbers to the rest of my list, this one would be #2. 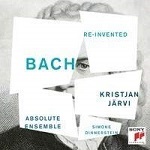 Some gorgeous and, let’s admit cheerfully, radio-friendly music here – the album’s aim is to reflect the idea of “the music of the spheres”, which it does through a handful of Baroque pieces and a selection of mostly minimalist modern works. 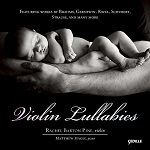 Beauty is the order of the day, too, with this wonderful collection which, though ostensibly aimed at the “new parents” market, shines enough new light on some familiar pieces (and highlights some less-well-known ones) to justify its existence for any fan of the violin. 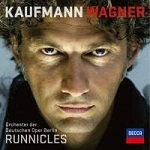 2013 marked Wagner’s bicentenary, and Kaufmann is widely regarded as today’s leading Wagner tenor, so I suppose that makes this album – a selection of scenes and arias, plus the Wesendonck Lieder, usually sung by a soprano – my most “mainstream” album of the year. Something of a no-brainer, this one: Mahler’s my favourite composer, and baritone Gerhaher is probably my favourite singer of lieder. This doesn’t displace some classic recordings – and actually it’s not even Gerhaher’s best Mahler album – but everything went sufficiently right here, with help from conductor Kent Nagano. And if I had to pick a second-favourite baritone it would be Goerne, here singing a selection of songs by long-time Brecht collaborator Hanns Eisler, including his final work, the Serious Songs written in East Berlin in 1961-2. I’ve been listening to classical music long enough now that it’s unusual to have a first-time encounter with a significant work by one of the great composers. This large-scale choral work was inspired by the deaths of three of Dvořák’s children; it’s a dark piece that journeys to light. I’m a sucker for the sound of Estonian choral music, and this collection of “folk hymns and runic songs”, with contributions from conductor/composer Margo Kõlar, hits all the right buttons. Easily the loveliest choral album of the year. Conductor Robert King revived his recording career this year with the launch of The King’s Consort’s new record label, Vivat. This selection of Monteverdi arias and madrigals certainly feels like the old band getting back together. Another year, another new countertenor to get excited about. 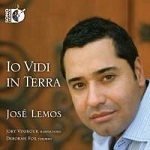 Well, Brazilian José Lemos has been around for a while but this is the first time I’ve encountered his rich voice. Here he sings a variety of pieces from 17th-century Italy, aided by Jory Vinikour (harpsichord) and Deborah Fox (theorbo). He wrote so much music, and so little of it is known: Telemann is a gift that keeps on giving. Unlike many collections of baroque opera arias, this one doesn’t offer vocal pyrotechnics, making it ideal for Mields’s gently pure soprano. 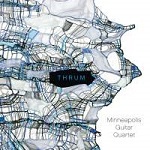 Three of Bach’s keyboard inventions (played by Simone Dinnerstein) provide the launching-pads for new kinda-jazz-rock-fusion-y works by Gene Pritsker, Daniel Schnyder and Tom Trapp. Is it strictly classical? Well, I guess it doesn’t so much cross boundaries as wholly ignore them. 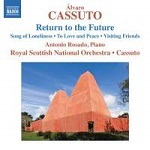 Portuguese conductor Cassuto wrote avant-garde music in the sixties, but the four works here from the succeeding two decades demonstrate his whole-hearted embrace of accessible tonality. There’s a real freshness to this music, notwithstanding its roots in the past. This is my first exposure to the music of R Murray Schafer, five appealing works written over the past dozen years. Eight minutes into the opening track the quartet plays a Shostakovich-like dance accompanied by the sound of children playing; that’s the sort of thing that hooks me totally. My tentative explorations of the classical guitar continue with this wonderfully evocative album, from Daniel Roumain’s music of American “ghettos” through David Evan Thomas’s relaxed title piece and Van Stiefel’s messing around with cowboy songs to Gao Hong’s depictions of life in southern China. From guitar quartet to trombone octet… Brass music isn’t often on my radar, but this album is an absolute joy. The seven works here, all of them recent or fairly recent, pretty much cover the spectrum from Wagnerian bombast to weird blaarts (but mostly the points in between). This is the most fun album of the year. With the help of a pair of great-sounding fortepianos, Pashchenko messes with our perceptions: here Mendelssohn and the not-so-well-known Dussek are the fiery Romantics, while Beethoven’s the charming classicist. If my list were confined to dead composers this album would be at the top. The small-scale intimacies of Catalan composer Federico Mompou might seem unlikely fare for the Russian “supervirtuoso”, but this is a real ear-opener. Mompou’s like a warmer Debussy, an earthier Scriabin; Volodos brings fire when needed, but this is mostly music you can bathe in. A valuable survey of a mostly underrecorded aspect of Pärt’s music, performed by a pianist who’s making quite a career from specialising in minimalism. The static beauty of “Für Alina”, which here gets four performances, is fairly typical but not the whole story. 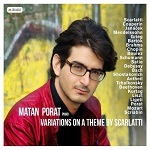 Among several mixed-repertoire piano recitals, this debut recording from Israeli composer-performer Porat stood out. A little motif heard in a Scarlatti sonata is the starting point for a journey that ranges from Couperin to Grieg to Boulez. Ingenious. 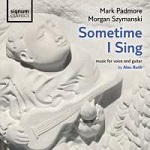 The English tenor and Mexican guitarist’s previous recording of the lyrical songs of Alec Roth is one of my favourites, and this one matches it. The settings here are mainly of texts by Vikram Seth and Tudor poet Thomas Wyatt. I still haven’t quite worked out why it is that I find Per Nørgård’s music so appealing; perhaps it’s what Tom Service described as “its simultaneous sense of freedom and coherence”. This collection covers music ranging from the 1950s to the present, including a show-stopping setting of Allen Ginsberg’s “Plutonian Ode”. And finally. This is too good to simply call a novelty release, but in fairness how many of us have listened to Stravinsky’s Petrushka and thought “oh, if only I could hear it played by an accordion duo”? Well, it turns out this is what we should have been thinking all along. One other bit of business is to mention my favourite track not found on any of the above albums. “Piers Lane Goes To Town” (Hyperion) is another fine piano recital, this one of encore pieces, my highlight being Lane’s rendition of Dudley Moore’s unstoppable Beethoven parody, “And the same to you”.